SKU: SC lea114. Categories: Earrings, Sea Shells. 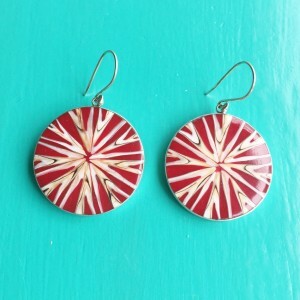 Red Star Shell Earrings set in Sterling Silver. 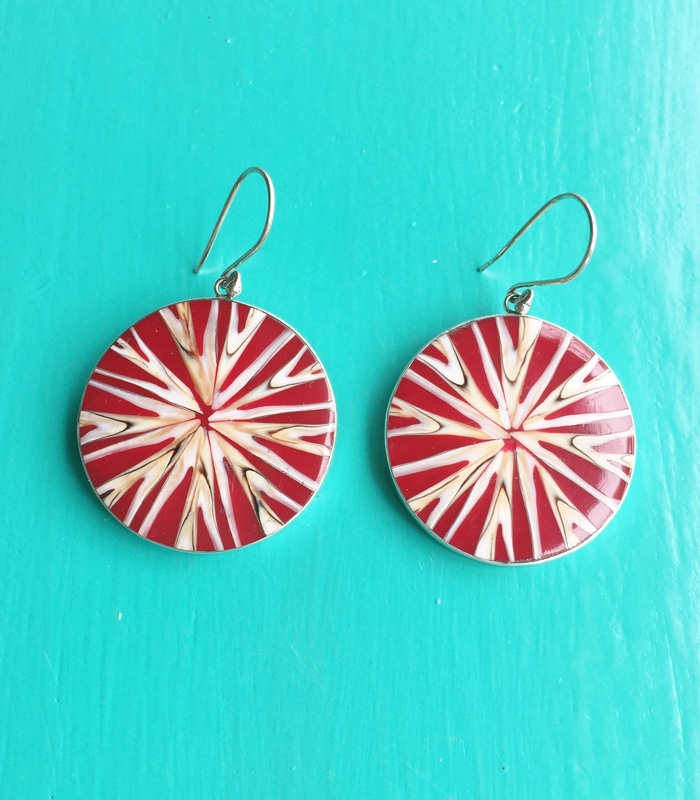 These are made using slices of Seashells which are then placed into a star shaped pattern and set into the red resin. Sterling silver goes completely around the earring, protecting the seashells. 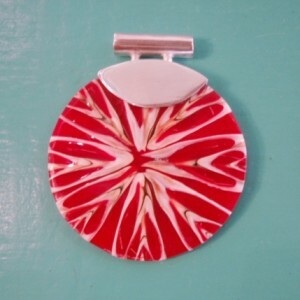 Take a look at the matching pendant for the complete look.